VyprnVPN was founded by Golden Frog, one of the oldest, biggest and most important Internet service providers. They have over 700 servers with over 200,000 IP addresses in 70+ countries all over the world, which rightfully makes them one of the top 10 VPN service providers currently available. Keep reading our VyprVPN review to learn more about its offer, including interface, performance, features, and more. VyprVPN has custom software for Windows and MAC that you can download from their website. Windows users who opt for a basic plan can connect to a server in their network using PPTP whereas those with a pro or premier plan can choose which protocol they want to use. The client itself is easy to use and navigate. Additionally, the client automatically updates for new servers so you can immediately try out new locations. First time VPN users will have no problem using the client as no technical knowledge is needed to use VyprVPN’s services. VyprVPN is advertised as the world’s fastest VPN. While this may be a bit of an exaggeration, we can definitely confirm that their speeds are absolutely fantastic. They are stable and reliable, with no drop-offs. This also means that they are good for streaming, Skype and other services that require great speed and a stable connection. Like most VPN services, VyperVPN works on all major operative systems and is compatible with an impressive list of platforms and devices. The software is consistent regardless of the platform, which means that you can easily switch back and forth while your settings remain the same thanks to syncing. Their Windows client is the original one, so the clients for the other platforms were created as its mirror reflection. All the apps for mobile devices work great. Their speeds are a bit slower, but that’s because mobile connections tend to be slower, meaning it’s not VyperVPN’s fault. This provider does not put a cap on anything they offer, meaning you get unlimited bandwidth, speed (no throttling whatsoever) and unlimited switching between servers and locations. As we already said in this VyprVPN review, VyprVPN offers intuitive software for all your devices, or at least for most of them – there are designated apps for Windows, Mac, Android, iOS, even for TVs and routers. Depending on what you’re paying, you can have from to two to five simultaneous connections, which is definitely convenient. VyprVPN has over 700 servers in more than 70 countries of the world. All five continents are covered and there are also more than 200,000 global IP addresses. 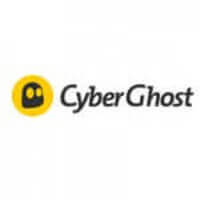 The company uses their own Chameleon technology with 256-bit OpenVPN protocol to assure you can access just about any website you want without your Internet service provider throttling your Internet connection. If you, for some reason, don’t want to use OpenVPN, there is also PPTP and, of course, L2TP/IPsec. In addition, the company has their own zero-knowledge DNS reserved for their own users exclusively. Golden Frog uses Cyphr secure, encrypted messaging, a feature that is offered to all users who sign up for VyprVPN. This is definitely a nice touch and something that those who are concerned about anonymity and privacy will certainly appreciate. For those who are really serious about their online security and don’t use a VPN just to be able to watch TV shows that are normally blocked, there is also the additional level of security through NAT Firewall for routers, smartphones, and tablets. VyprVPN can even be integrated with various services and apps, from Boxee to Viscosity and Feat VPN. This is a tier-1 service, which means they write their own code, own their own product and infrastructure, maintain and service everything, including all of their servers, regardless of the location. Like we already mentioned in our VyprVPN review, the company writes all of its code, owns and operates all of its servers and other infrastructure and has a team of in-house engineers that work hard to make sure everything runs smoothly. Since they do not work with other companies, they handle all your information. This ensures maximum privacy and security. Golden Frog has their headquarters in Switzerland. The Federal Supreme Court of Switzerland ruled in 2010 that IP addresses cannot be used without knowledge of the persons involved. For more good news, VyprVPN keeps absolutely no user logs. Recently, it has gone through an independent audit conducted by the Leviathan Security Group, thus becoming the world’s first publicly audited zero-logs VPN service. That means that you get to enjoy full anonymity without any danger of your data being monitored, stored or handed over to third parties. 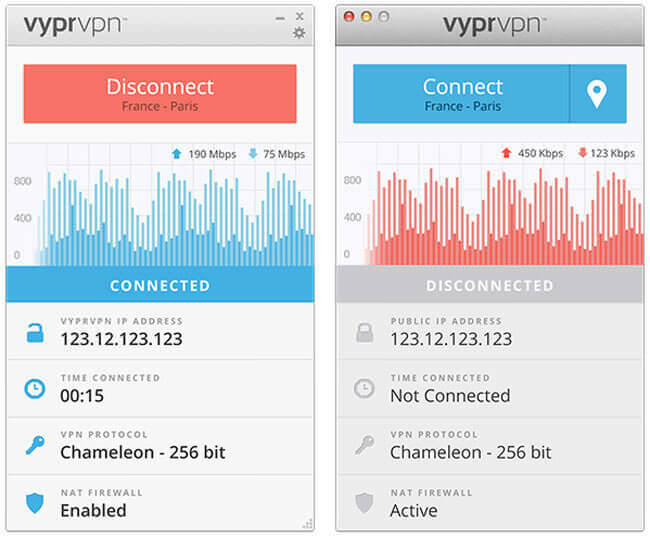 VyprVPN uses L2TP&IPsec, OpenVPN, and Chameleon, their own encryption protocol. They also offer VyprDNS which does not log any information and an impressive NAT Firewall for the servers. Golden Frog has one of the best customer support services in the business. The staff is available to you for a live chat 24/7 all year round and there is also a very helpful support page with FAQs and common issues, from setup instructions to troubleshooting. Golden Frog offers three packages for their VyprVPN service. The basic one costs $5 per month if billed annually and $9.95 if billed monthly, but we wouldn’t recommend it since it does not provide full security protection. 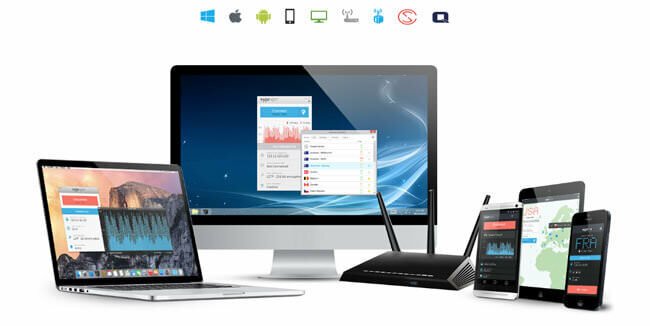 The Premium package, which costs $6.67 per month if billed annually and $12.95 if billed monthly, comes with five simultaneous connections, your personal cloud VPN server, and Chameleon protocol that prevents VPN blocking. Both packages have a three-day free trial if you want to try them out first. As we wrap up this VyprVPN review, here’s a quick overview of the features that wowed us and the aspects of the service that could use some improvement. Our ratings are the result of an objective and independent evaluation of VyprVPN, generating the final rating that reflects the overall quality of the company. Ratings may change as the service changes. VyprVPN user rating based on 10 user reviews. I’ve used much, much better VPNs before and Vypr is just nah. It works, yes, but sometimes I wonder whether it works for me or against me. It drops out quite often, makes my internet slow and I can’t even torrent. The only thing I manage to do is to open Facebook when I’m in China, but it’s slow as well. We’ve been struggling with trashy vpns for years and I was so happy when we discovered Vypr. We’re on premium, so the whole family uses it. Movies are streaming, files are uploading, everything works great. Service is excellent from the technical point of view. Customer support isn’t always their finest feature, with often long waiting times and somewhat confused staff. From Chameleon to some freebies I got, I believe VyprVPN to be one of the finest in the biz right now. With certain reservations, of course, mostly regarding privacy. I am not sure I like the fact they keep any logs at all, even though they say they delete it after a month. I don’t do anything illegal though so I guess I don’t mind it that much. I’ve been having some real good speeds with Vypr VPN, better than most other providers. The only downside is that they aren't P2P friendly, to say the least. 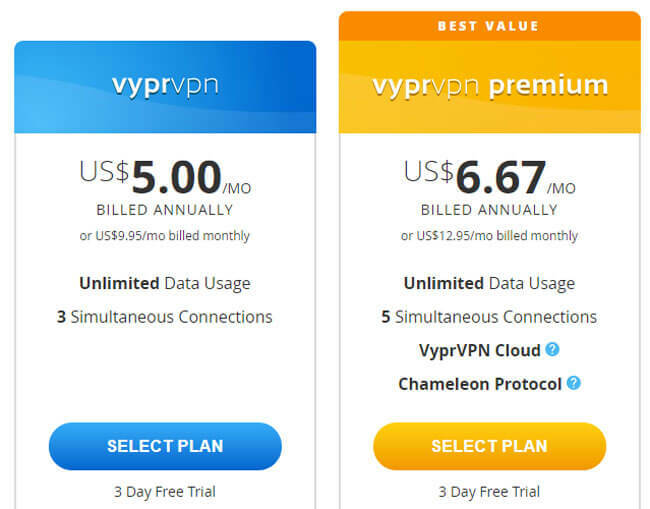 We found 2 verified VyprVPN discounts for April, 2019. Discover the full range of possibilities VyprVPN offers and become an advanced user in no time with our beginner-friendly VyprVPN guides. Whether you are interested in secure torrenting, unblocking Netflix, setting up VyprVPN on all your devices or you simply want to learn more about VyprVPN, you can find verified information and clear instructions in our VyprVPN guides below. VyprVPN Price & Value For Money - providing key information about VyprVPN subscription options and pricing.